THINK GOOD THOUGHTS | McServed: Getting Served McDonalds Fast Food Funnies, Laughs and More! Pictures, Sleeperstags: New York, subway. 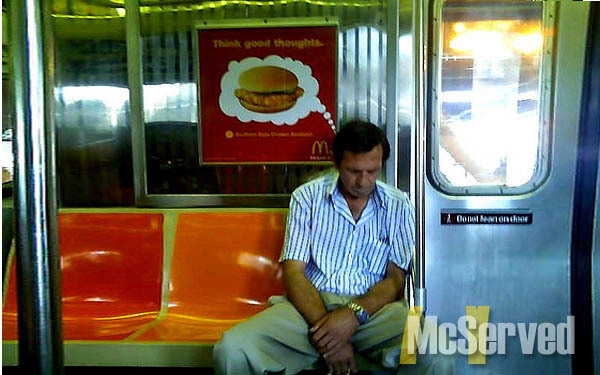 Do you think he’s really dreaming about a Big Mac?